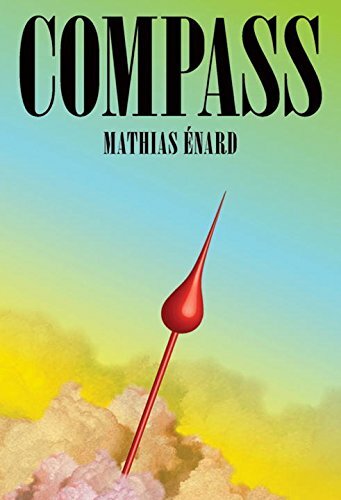 Shortlisted for the 2017 Mann Booker International Prize (and winner of the Prix Goncourt in the French edition), Compass is a groundbreaking work; a fiction made of nonfictions that reads like a new form altogether. Énard unravels the interwoven strands of cultural connection between Europe and the Middle East in a story that is at once a romance, an integrated art history and a guide to current events. Compass points to a new way forward in our thinking about the ‘other’ on a scale both intimate and grand. So muses our melancholic narrator in the opening passage of Compass. It is a rainy night in Vienna and Franz, a scholar of Oriental music, is having trouble sleeping. He has recently received what might be a fatal diagnosis, and his thoughts turn to Sarah the woman he has loved, mostly from afar, for many years. Sarah has sent him a package, an academic manuscript from Sarawak, which sets into motion a long series of reminiscences that fan out in multiple directions. Like the water drop, the transmigration of desire, across forms, language and national borders is a central metaphor at the heart of this amazing work, which itself seems to morph and expand even as we read it. Through the singularly long night during which all of Compass is narrated, we travel with Sarah and others in Franz’ group of academic Orientalists to various locations in Syria, Iran and elsewhere in the Middle East. The sheer scope of Énard’s erudition makes reading Compass feel like a continuous adventure of discovery. Sheiks, travelers, and obscure tragedies arrive on this caravan, as Lady Jane Digby’s child falls from a balcony and dies at her feet, the Iranian modernist writer Sadegh Hedayat gasses himself in his Paris apartment, and the French and British mandates swiftly betray the tribesman who have just helped them win WWI. Meanwhile Franz imagines titles for future works that he will write such as On the Diverse Forms of Lunacie in the Orient Volume the Third: Portraits of Orientalists as Commanders of the Faithful. The political landscapes of the Middle East are examined across time, juxtaposing the latest headlines on Syrian refugee children with tragedies from the Ottoman Empire. When, during a visit to the landmark Baron Hotel in Aleppo the narrator pursues his love Sarah, up the storied steps trod by T. E Lawrence a hundred years previously, it’s as if we fall into history through Franz’ present. There are passages in Compass when the sheer volume of historic details and cultural references can feel burdensome, but more often these references to little known movements, writers, musical works, and artists will spur curious readers to further research. Who knew for example, of Goebbels’ plan to endear Hitler to the Islamic world? Some readers might chafe under the unrelenting purity of the European perspective, but despite all the weight of politics and history here, this is always in essence a love story. The translation from the French by Charlotte Mandell (who previously translated Énard’s single sentence novel Zone), is itself a feat of great beauty. The prose maintains the interior cadence of natural English while still capturing the particularly European sensibility of the character. It would have been easy for Franz to be rendered as a stiff academic but Mandell avoids this and manages to give us a sympathetic, familiar feeling narrator, and this is critical to the emotional power of the story. Franz, though slightly better informed than many of us, still lives in our world, and his personal plight is ultimately what pulls us through the dense matrix of references that Compass encompasses. There are obscure words scattered through the prose like jewels, ostinato, melismata, musharabiehs, Mandell knows just which to keep and which to change. Toward the novel’s end, a hopeful note on the romantic front hints at a final coming together. This movement contrasts the sense of the exotic “other” that Franz has spent his life pursuing. Always in Compass is a sense that efforts to separate out the influences of one cultural tradition from another in order to delineate it as “other,” or more exotic than ours, is a fool’s errand. If European music, stories, longings, are so intertwined, inter-texted, inter-noted with the Middle East that we can’t extract one strand from another, then a shared culture is where we live. Or is it? Like his French contemporary Michel Houllebecq, whose latest novel Submission imagines a future France ruled by Islamic socialists, engaging literature in politic dialogue is Enard’s metier. He writes to posit what is possible, to draw new connections, to re-present history. Compass educates us, even as we marvel at its obscurity. Énard seems to have discovered a new use for the novel, that once found seems inevitable and essential. Barbara Roether is a San Francisco writer and author of the novel This Earth You'll Come Back To. She has worked as an editor for Harper Collins Publishers and as a reporter for Publishers Weekly. Poetry, features, and essays have appeared in various magazines.